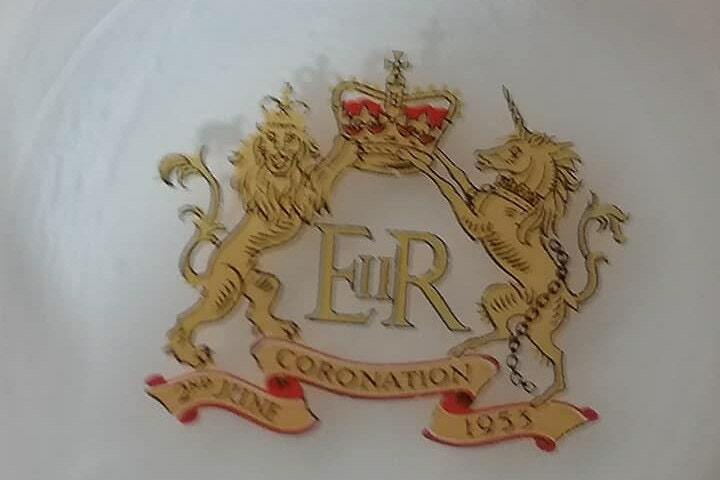 1953 Souvenir ashtray of Queen Elizabeth II Coronation. 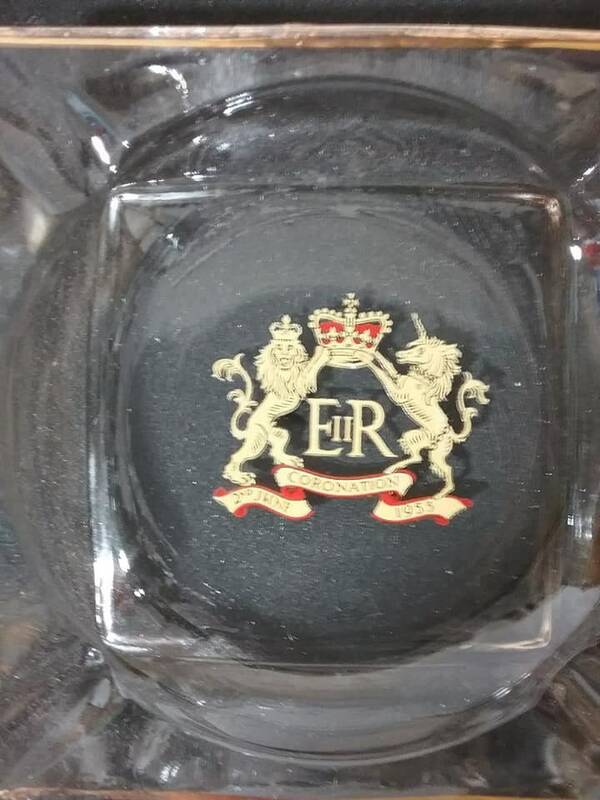 Small glass ashtray is in excellent vintage....minor gold trim on edge has some fading from age/use. 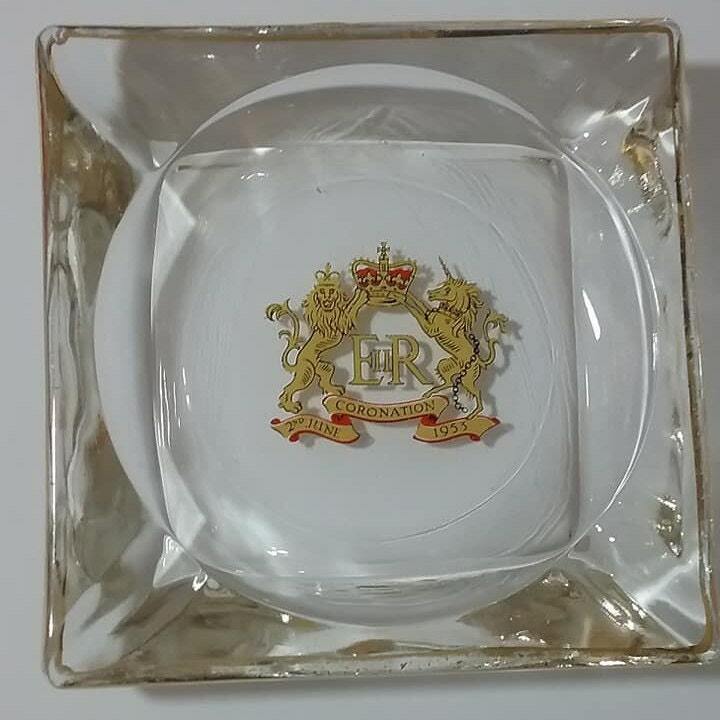 It is very charming at 3.5" square, with cigarette groove on each corner. 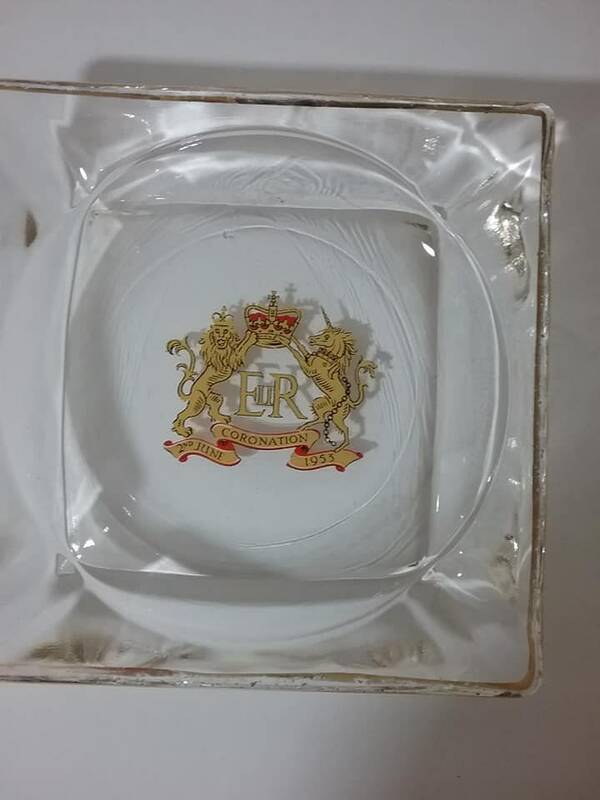 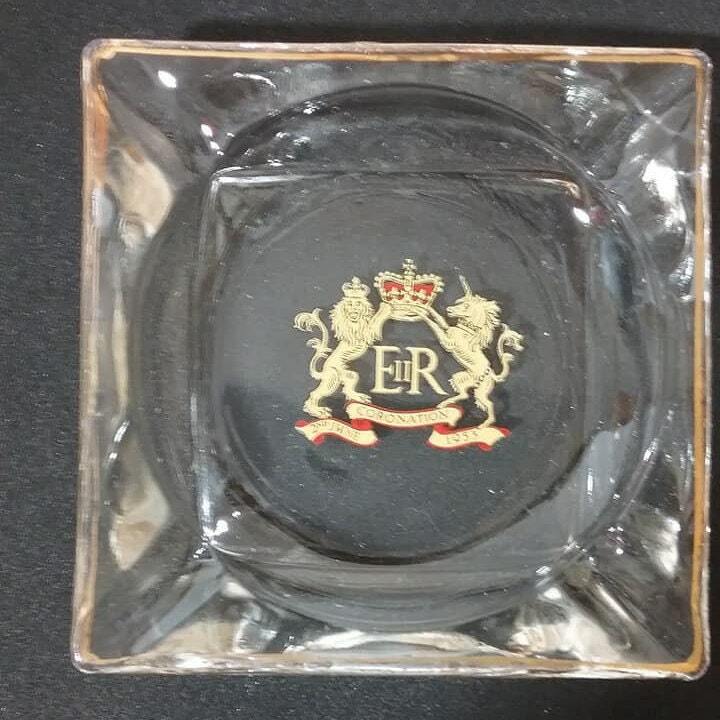 Ashtrays are highly collectible...as is Royal Family....two great collectibles in one!